Mice are obsessive groomers, so chances are you won't have to bathe them often -- or maybe at all. In addition, mice can be afraid of water, so putting yours into a tub can cause some serious stress. Mousy too dirty? A good option is to try a sponge bath. Grab a small hand towel or a soft thick cloth. Dip it in warm water and then wring it enough so that it is not dripping. You can add a tiny amount -- as in just a few drops -- of puppy shampoo to the water. If you do this, you will need a second bucket of warm water and a second rag to rinse your mouse. Rub your mouse gently with the wet cloth. Make sure there is no water dripping on his nose or eyes. If you used some shampoo, immediately rub with the second, water-only cloth. Use a dry cloth to help dry your mouse. Don't use a hair dryer, as the noise can be quite traumatizing for his little ears. Rub gently until the hair is as dry as possible. ⚠ Mice have a naturally light nice odor. 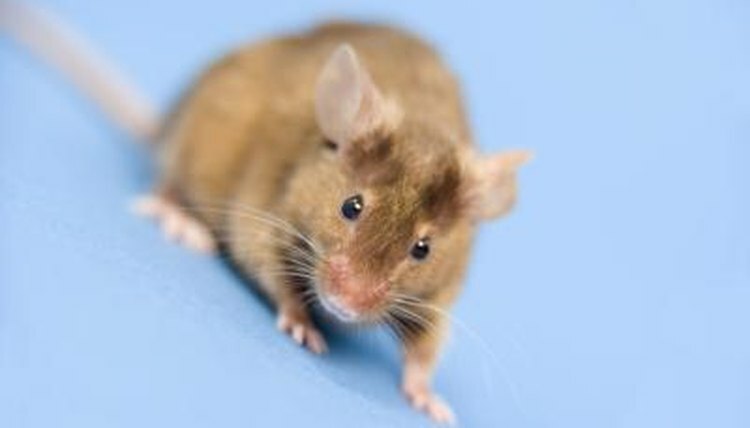 If your mouse has a strong smell on his skin or appears to be suddenly dirty and in need of a bath, talk to your vet. This could be a sign of an underlying health issue.